We are sad to report on the passing of a good friend and major force in amateur radio, Bill Pasternak, WA6ITF. A 2004 inductee to the CQ Amateur Radio Hall of Fame, Bill was best known as co-founder and producer of Amateur Radio Newsline and as founder and administrator of the Newsline Young Ham of the Year Award (of which CQ is a co-sponsor). Newsline's predecessor, Westlink Radio News, was the first regular audio news service in amateur radio. Bill also produced several promotional videos about amateur radio for the ARRL and was a columnist in WorldRadio and WorldRadio Online magazines. He will be greatly missed. 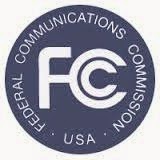 According to the ARRL, the change will not take effect until after the FCC has formally notified Congress of the move, which in the halls of federal bureaucracy takes at least 90 days. So the earliest effective date would be late August to early September. If you're planning to apply for or renew a vanity call in that timeframe, and won't risk having your license expire in the interim, then it might be best to wait, since the FCC also says it will not refund fees paid prior to the formal elimination. 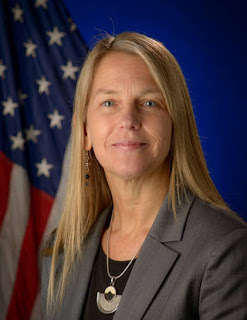 According to NASA, Newman earned her Ph.D. in aerospace biomedical engineering form MIT, along with Masters degrees in aerospace engineering and technology and policy. Until taking on her new position at NASA, Newman was the Apollo Program Professor of Astronautics at MIT, where she specialized in research on advanced spacesuit design and the dynamics and control of astronaut motion. She also worked on applying that research to assistive technologies for mobility impairments here on Earth. According to the ARRL, Newman is also an avid sailor who has circumnavigated the globe. The Hurricane Watch net celebratea its 50th anniversary of public service this month with a special operation using the call sign WX5HWN. According to the ARRL, the plan is to pass control of the June 13-14 operation to each of the net's control stations around the continental U.S., eastern Canada, Mexico, the Caribbean and Central America. Each NCS would use WX5HWN as control of the net passed from one station to the next. This is the first time the call sign has been used on the air. Operating frequencies were scheduled to be on or near 14.325 MHz and 7.268 MHz. 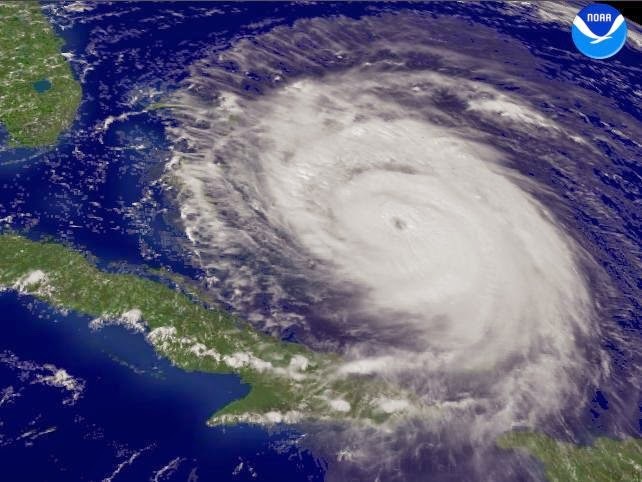 Meanwhile, the National Oceanographic and Atmospheric Administration (NOAA), the parent agency of the National Weather Service and the National Hurricane Center, predicted a quieter-than-average Atlantic hurricane season for 2015. The prediction says it's likely there will be between 6 and 11 named storms and 3-6 hurricanes, of which 0-2 may become major, during the June 1-November 30 "official" hurricane season. 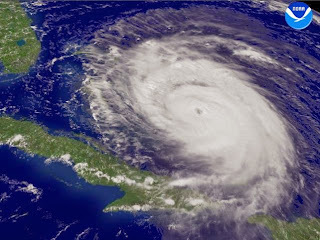 The agency warned, though, that the risk of damaging storms remains, noting that there were only seven named storms in 1992, but the first of them was Hurricane Andrew, which devastated south Florida. NOAA is also calling for an above-normal hurricane season in the eastern Pacific. Amateur radio operators provided backup communications for regions of Texas and Oklahoma inundated by historically-high rains and flooding in late May. The ARRL Letter says ham volunteers in ARES and SKYWARN were active in both states as residents struggled with flash floods and tornadoes. Previously suffering from a severe drought, Texas received nearly 9 inches of rain in May (mostly in the last week of the month), with Wichita Falls getting 17 inches; while Oklahoma saw more than 14 inches of rain fall, with nearly 20 inches in Oklahoma City. The unprecedented rains are being blamed on a combination of a growing El Niño in the Pacific and warmer temperatures in the Arctic which are slowing the jet stream and keeping weather systems over locations for longer periods. in late April, as well as large aftershocks well into May. Amateur radio emergency nets, which had provided critical communications in Nepal after the country suffered a devastating earthquake in late April, were called back on the air in mid-May after a magnitude 7.8 aftershock hit the region. The nets stood down again several days later as it became clear that normal communications were still functioning. CQ will carry a comprehensive look at the amateur radio response to the Nepal quake in July's "CQ World Wide" international news column. The Department of Defense announced in May that it would phase out the Navy-Marine Corps MARS (Military Auxiliary Radio System) program by the end of September, moving its "operational mission" to the Army and Air Force MARS programs. The ARRL Letter reports that at least 60 Navy-Marine Corps MARS members had transferred to Army MARS in the first week following the announcement. More transfers are expected, with most applications being processed by e-mail on the same day they are received. A follow-up to our story last month about Australian ham Andy Nguyen, VK3YT, successfully sending a ham-radio-equipped foil "party balloon" around the world … he's done it again! According to the ARRL, Nguyen's PS-46 balloon was launched on May 25 and completed its circumnavigation on June 4. It was tracked by hams monitoring its 25-milliwatt transmitter, which was sending out reports on 30 and 20 meters, using WSPR, JT9 and Olivia digital modes. The solar-powered transmitter reported on position, altitude, speed, direction and battery condition throughout its 12-day voyage. Route map of the PS-46 foil balloon flight around the world. supports up to 30 simultaneous users. According to the ARRL, the two satellites - named PSAT and BRICsat - have separate transponders operating on the same frequency but using slightly different PSK tones. 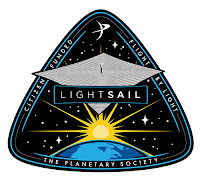 The rocket that carried PSAT and BRICsat into orbit also launched the Planetary Society's LightSail-1 satellite, which has a telemetry downlink in the 70-centimeter ham band (it's transmitting 9600-baud FSK in AX.25 format on 437.435 MHz). The ARRL reported that the LightSail transmitter briefly shut down due to a software glitch, but managed to reset itself and come back on the air. Controllers were planning to upload a software patch to prevent recurrence of the problem. The Chinese CAS-3A amateur satellite. China's AMSAT organization, CAMSAT, says at least six ham radio cubesats are scheduled for launch in July as part of a 20-cubesat launch using China's new CZ-6 launch vehicle. The satellites are part of the CAS-2 and CAS-3 series. 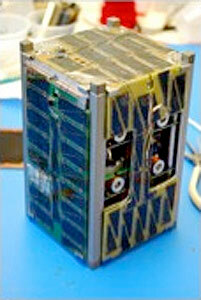 In addition, LilacSat-2, built by the Harbin Institute of Technology, is also apposed to carry an amateur radio transponder. More details should be available after the launch. Traffie Technology, which has been manufacturing the HEX-BEAM antenna since 1992, is ending production of the popular antennas. The ARRL says owner Mike Traffie, N1HXA, made the announcement on the company's website. It also says Traffie is open to having someone else take over the business. The announcement, at <http://www.hexbeam.com/news.html>, did not indicate a timeframe for the shutdown or whether orders already received will be filled.